Brownies. Could there be a more delicious dessert? They are one of my big food weaknesses. But they’re also very hard to get right. Or so it would seem from the hundreds I’ve tried over the years. Sometimes too dry and more of a cake. Other times tasting like cocoa powder rather than chocolate. 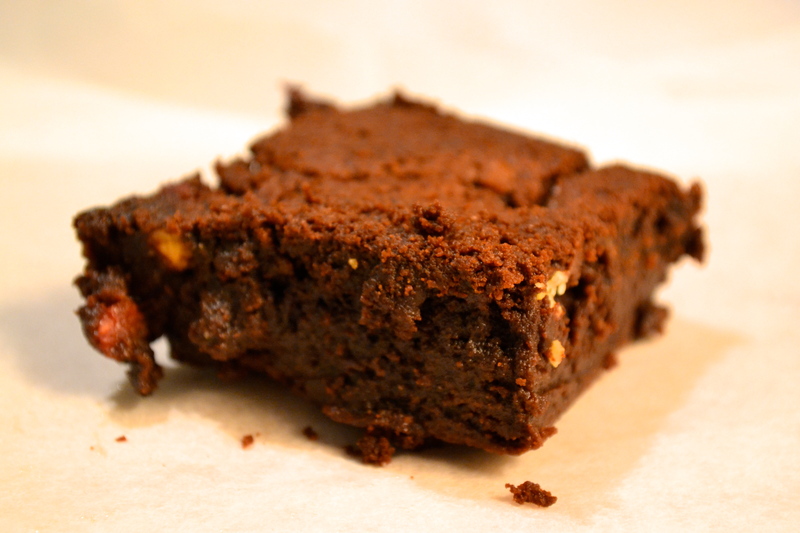 The perfect brownie should be slightly crisp on the outside and gooey in the middle. My recipe below definitely ticks both those boxes. The brownies only take about 15 minutes to prepare and can be made a couple of days in advance. Though I doubt you’ll be able to keep your hands off them for that long. The only thing wrong with the recipe is seeing what goes into it. Unsurprisingly not the healthiest ingredients list. But as my father always told me, if you’re going to do something, do it properly, so here you go – death by chocolate brownie. 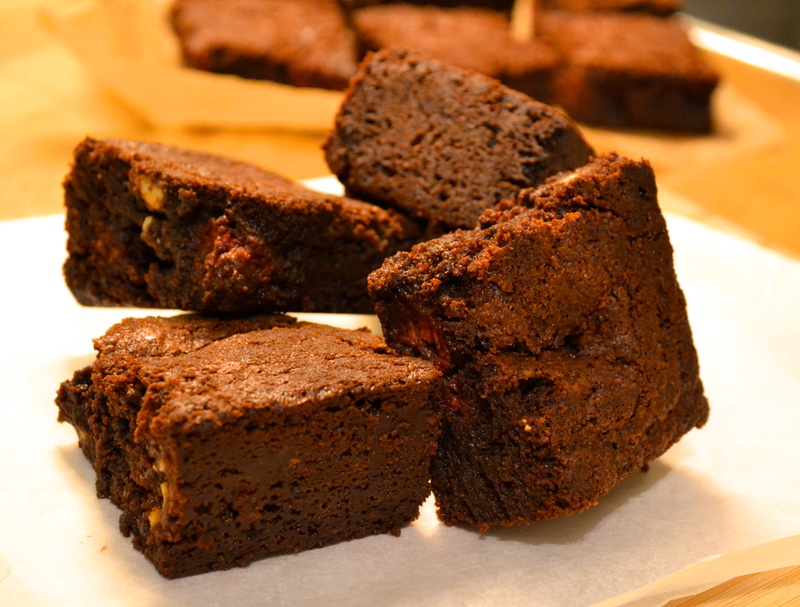 Plain old dark chocolate brownies are hard to beat but when you add the combination of raspberry and white chocolate chunks they really are something else. And this coming from the girl who swears she hates white chocolate. Trust me. They’re good. 1. Preheat the oven to 170°c/150°c fan. 2. 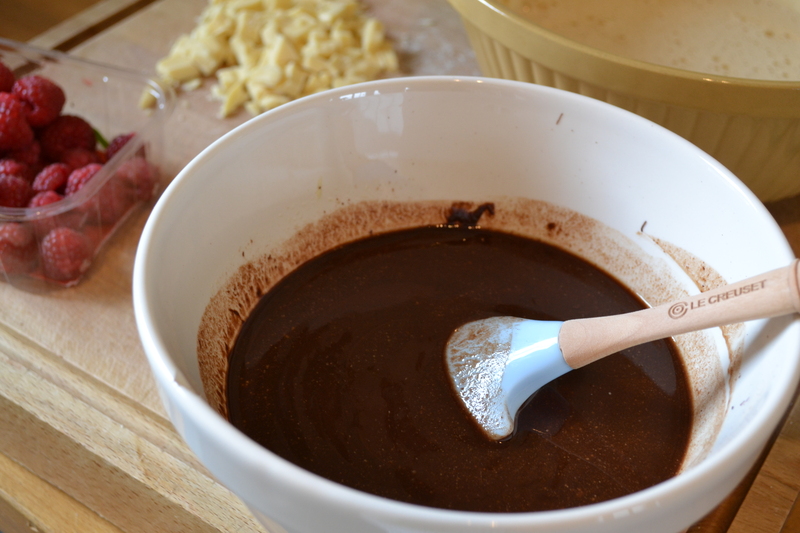 Melt the chocolate and butter together in a bowl over a saucepan of simmering water (alternatively microwave to melt). 3. Beat the eggs and sugar together using an electric hand whisk until well combined and slightly frothy. 4. Fold the melted butter and chocolate into the eggs and sugar, stirring until well combined. 5. Sift the flour and baking powder into the mix, folding in gently. Follow with the white chocolate chunks. 6. Pour the mix into the prepared cake tin. Scatter the raspberries over the top of the mix evenly, pushing into the mix until covered. 7. Bake in the oven for 45-50 minutes until the top is set and a few cracks are starting to appear but there is still a slight wobble in the middle. 8. Allow to cool completely in the tin. Once cool, cut into squares. Store in the fridge if not needed immediately, but bring to room temperature before tucking in. The brownies can be made up to 3 days in advance and stored in the fridge until needed. They keep best if left whole and cut up when needed.